New Jersey Courts have followed the Parole Evidence Rule since at least 1882. The Parole Evidence Rule holds that outside (or “extrinsic”) evidence is not allowed to alter the terms of a contract – in other words, the Parole Evidence holds that, the meaning of a contract is contained within its own four walls. Unlike most rules with the word “evidence” in it, the Parole Evidence Rule is not actually part of the Rules of Evidence. In fact, it is not really an evidence rule at all. Rather, it is a substantive rule of law which holds that once the parties sign a contract, their prior negotiations are irrelevant because they have selected the terms of their agreement. The first requirement for the Parole Evidence Rule to be invoked is that there must be a written contract – the Parole Evidence Rule only applies to agreements which have placed into a written contact. Second, the written contract must be intended as the parties’ final agreement. While this may seem self-evident, in the early stages of commercial transactions parties often use “letters of intent” which are not intended as the final agreement, but only as the broad outlines of how the parties foresee their eventual agreements turning out. Finally, the contract must be a “fully integrated” agreement. This means that the contract must cover all parts of the transactions, not just some elements; the Parole Evidence Rule does not bar extrinsic evidence in the interpretation of “partially integrated” contracts. In 1953, in the case of Atlantic Northern Airlines v. Schwimmer, the New Jersey Supreme Court limited the application of the Parole Evidence rule, holding that all evidence, including extrinsic evidence can be admitted if it is relevant to assisting in determining the meaning and intent of the contract. Thus, the general rule is that the Parole Evidence Rule controls when there is a fully integrated written contract, and extrinsic evidence to alter the terms of the contract are not admissible. However, extrinsic evidence is admissible when an element required for the parole evidence rule is missing (such as a written agreement or a fully integrated contract). Likewise, the Parole Evidence Rule will not apply to bar evidence where a fully integrated, written contract is ambiguous on its face, or where the terms of the contract require expert testimony to be understood (such as industry, scientific, or other highly technical terms). Courts often strain to admit parole evidence because they want to make sure that the parties’ intentions are actually carried out. As New Jersey’s Appellate Division recently held, the point is not to change the terms, but rather that the reality is that the language in contracts is often imprecise and imperfect. Therefore the doctrine of necessity is invoked precisely to carry out the intention of the parties. Indeed, the Supreme Court noted in Schwimmer that often parole evidence is necessary to determine if there is a complete, or fully integrated contract in the first place. Likewise, since a contract must be based on a voluntary, knowing agreement, freely entered into, courts will admit extrinsic evidence to determine issues relative to the validity of the formation of the contract in the first place. For instance, courts will look to extrinsic evidence to determine whether one party committed fraud or made some other misrepresentations or material intentional omissions which induced the other party to enter into the contract. Courts will also look to outside evidence to see if the contract was entered into because of mutual mistake. 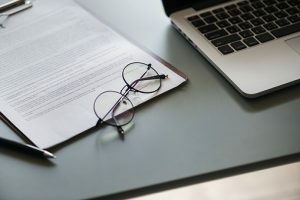 When entering into a contract, it is important to remember that under New Jersey business law, the Parole Evidence Rule may work to bar external evidence of what a party meant to a contract. Therefore, it is important that the written contract say exactly what the parties’ intend. Clear, exacting contract drafting is essential. However, if a dispute arises, it is sometimes possible – sometimes – to admit outside evidence to prove the parties’ intent. It is therefore important to preserve all evidence of intent and negotiations, including letters, faxes, emails, texts, notes, etc. Call (973) 890-0004 or email us to schedule an appointment with one of our business attorneys.